As election time approaches here in the United States, it is good to reflect on how our Founding Fathers advised us. 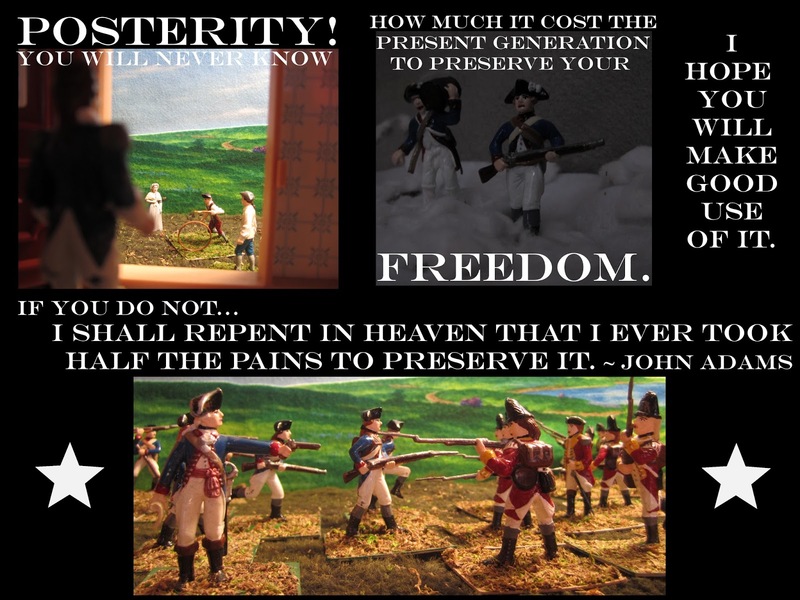 This quote comes from John Adams "Posterity! you will never know how much it cost the present generation to preserve your freedom! I hope you will make a good use of it. If you do not, I shall repent in Heaven that I ever took half the pains to preserve it." Meme created by yours truly from his personal collection of figures. Montcalm's Army from "Troupes Du Roi 1757"